Back in October 2010, we learned that the BBC would take over the cost of the World Service from the Foreign Office from April 2014. Shorty thereafter, the BBC World Service was dealt a 20% budget cut which eventually lead to the loss of 550 jobs. Now April 2014 is upon us. The BBC, which is largely funded by a mandatory TV license fee, must now share its budget with the World Service. But even after the announcement of this consolidation, the TV license fee was not increased accordingly. This entry was posted in Articles, Broadcasters, International Broadcasting, News, Shortwave Radio and tagged BBC Cuts, BBC World Serive Commercialization, BBC World Service, BBC World Service Cuts, BBC WS, BBCWS, Peter Horrocks, TV License Fee on March 31, 2014 by Thomas. One of the world’s experts on North Korea has called on the BBC to “be part of the solution” in fighting human rights abuses under Kim Jong-un’s repressive regime by initiating Korean-language broadcasts by the BBC World Service. Michael Kirby, the eminent retired Australian judge who chaired a recent Commission of Inquiry (COI) on North Korea for the United Nations Human Rights Council, told The Independent that the BBC could make a difference to the lives of people in “a country that has been largely cut off from the rest of the world”. Speaking in a personal capacity, Mr Kirby said the BBC was in a position to make a difference in North Korea. […]Funding of the World Service has passed from the Foreign & Commonwealth Office to the BBC. Previous BBC studies have identified problems in providing a Korean service, especially in relation to the difficulties of the North Korean population tuning in and defying the ban on listening to foreign broadcasts. This entry was posted in Broadcasters, International Broadcasting, News, Shortwave Radio and tagged BBC, BBC World Service, BBC WS, BBCWS, DPRK, North Korea on March 10, 2014 by Thomas. 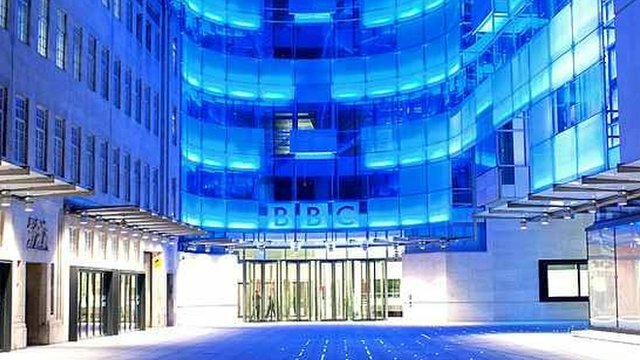 The BBC World Service has urged all its network news journalists to consider voluntary redundancy as it aims to avoid compulsory layoffs as part of £42m budget cuts. The BBC’s global arm is closing 73 editorial posts following its cut in funding by the government in 2010. Post closures include 16 in network news, which includes domestic journalists based around the UK, 14 in World Service news, and two in newsgathering for world and business. Stephen Mitchell, the BBC’s deputy director of news, urged staff to consider voluntary redundancy in an email on Thursday morning. […]Compulsory redundancies at the World Service led to two walkouts by staff last year. […]The National Union of Journalists has criticised the World Service cuts. General secretary Michelle Stanistreet said the job losses “fly in the face” of the corporation’s commitment to quality programming, and urged director general George Entwistle to push for a renegotiation of the licence fee settlement. “The World Service is a source of information for people across the world, described by former UN secretary general Kofi Annan as ‘perhaps Britain’s greatest gift to the world’,” Stanistreet added. Read the full article at The Guardian website. This entry was posted in Broadcasters, News and tagged BBC World Service, BBC World Service Cuts, BBC WS, BBCWS, The Guardian on November 1, 2012 by Thomas.